We recently had the creative privilege of working on developing a brand for a Tampa-based wedding floral boutique. 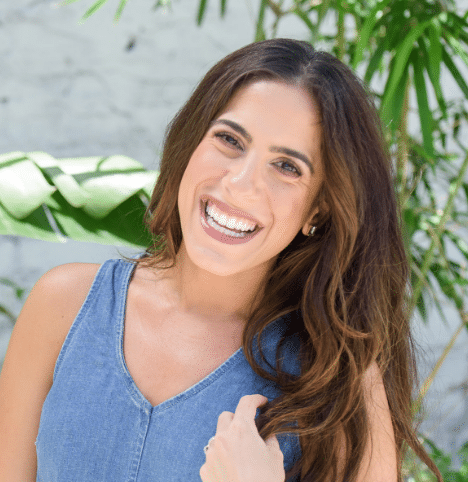 Our relationship with the folks at MARIGOLD began when I was introduced to Jaclyn by a mutual friend a little over a year ago. We struck up a friendship almost immediately. We had babies that were due a week apart, we both were walking into a new season of learning to mother while at the same time balancing our roles at our respective family businesses. We both are like-minded in our faith and in the things we value about family, friendship, and our work. We developed a mutual respect and interest in each other’s work. And we both happened to be in the mode of brainstorming our business’ branding. 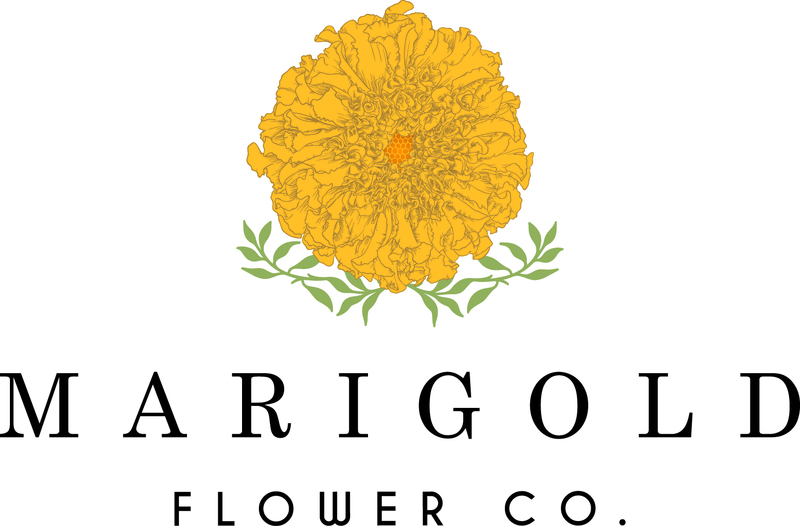 So I was honored and elated when they came to us to work on the branding for MARIGOLD FLOWER CO. We partnered with them by providing them with our Startup Branding & Design service package. Jaclyn, along with Catherine and their team, were responsible for record-setting growth over the last several years for the wedding department at Carrollwood Florist. As the department and their responsibilities grew, it became clear to Jaclyn and Catherine that it was time to develop a separate identity for their wedding department. They came to us with big thoughtful ideas about their vision for the future of the wedding department. They were looking for a modern identity for the wedding department that was trendy, but still embodied a timelessness that spoke of the things they deeply value about their family business. As we listened to the vision for MARIGOLD FLOWER CO., Danny and I quickly realized that they needed a design that was flexible and simple enough to grow with them over the next couple of years. But at the same time ,a hybrid of trendy and timeless. 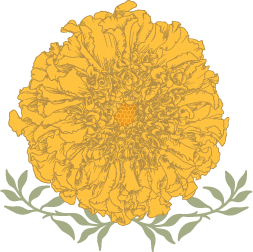 When thinking about designing the logo, we considered the delicacy of each petal’s edge, the variations of yellow to gold shades, and the unique fullness of the Marigold that makes it stand out from other flowers. With this in mind, we translated that into a logo which would inspire unique simplicity and beauty. The process of developing just the right look for Jaclyn and Catherine took several refining rounds, but they had such clarity about the branding and how the look communicated who they were as a company that they made the design process relatively easy for us (and we’re always grateful for that)! We even welcomed a last minute name change that kept Jaclyn up one night because we knew that it positioned the brand well for future growth. MARIGOLD FLOWER CO. launched their website just a few weeks ago and we could not be more impressed with their commitment to simplicity and beautiful design. From floral design to their digital footprint, these girls are doing it right and are unbelievably talented. I literally come up with reasons to send flowers to friends and family because their arrangements always surprise me and I know without a doubt they will put a smile on their recipient’s face. If you’re looking for a boutique floral shop in the Tampa Bay area for an upcoming wedding or event that will totally exceed your expectations, then MARIGOLD FLOWER CO. is where it’s at. You can check them out by visiting their website. You can also connect with them on Facebook, Pinterest, and Instagram for creative inspiration and phenomenal floral pics on the daily. Branching out and creating a new brand can be a daunting experience, but working with Yellow Leaf Marketing made the unknown exciting and turned our little idea into a better-than-imagined brand. All of us at Marigold Flower Co. are so grateful for the Yellow Leaf team, and the lasting relationship we’ve made with them! Catherine McNew, MARIGOLD Flower Co.